"The hotel room was nice, clean, and had everything we needed. The toilet in the room next to ours ran for a long tie. Lots of traffic noise, too.2017-08-14"
"Nice, clean hotel. The only issue was that I couldn't turn off the fan in the room. I was impressed with the hot oatmeal with raisins, walnuts, and dried cranberries at breakfast. Even fresh pineapple was available. The breakfast room layout was thoughtful and user-friendly. I highly recommend staying here.2017-01-20"
"The hotel was comfortable, but there was too much chlorine in the whirlpool. 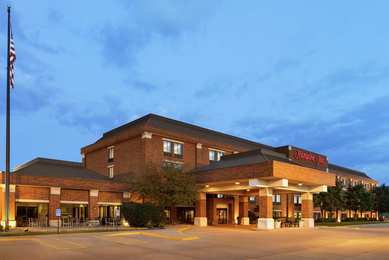 Definitely a good place to stay.2016-02-29"
Learn more about West Des Moines Hotels & Motels in our West Des Moines Hotels Guide.